HERE AT LEIGH CARS WE HAVE A LOVELY AUDI A3 1.6 DIESEL MANUAL SPORT WITH FULL SERVICE HISTORY AND BRAND NEW ADVISORY FREE MOT. 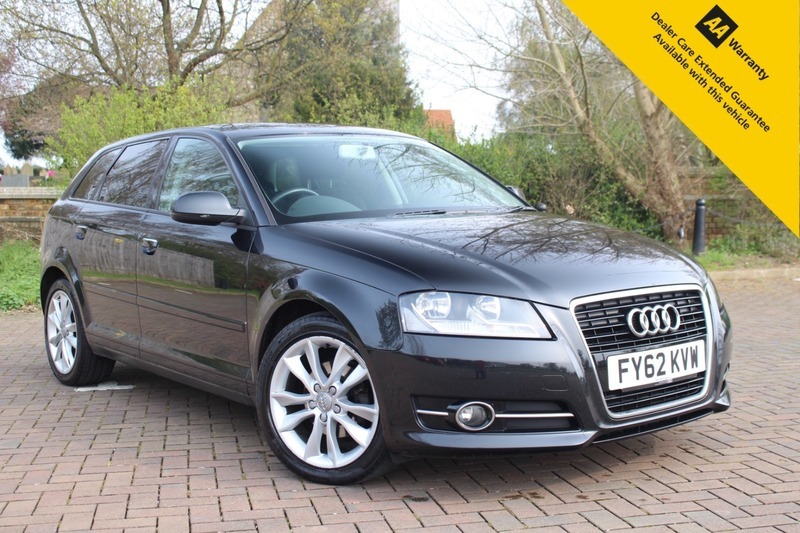 FINISHED IN METALLIC BLACK WITH UPGRADED CRUISE CONTROL, THIS CAR IS NICE AND TIDY FOR THE AGE AND THE MILES AND DRIVES AS YOU WOULD EXPECT AN AUDI TO. AT ONLY 30 POUNDS TO TAX AND WITH A COMBINED MPG OF 68.9 THIS CAR IS GOING TO MAKE A GREAT CAR FOR SOMEONE WITH EXCELLENT BUILD QUALITY AND DRIVE WITH EXCEPTIONAL PERFORMANCE AND RUNNING COSTS. IDEAL FOR ANY GROWING FAMILY OR FOR COMMUTING, WITH LOTS OF SPACE AND A PRACTICAL SIZED BOOT, THIS CAR IS VERSATILE FOR ALL USES. THIS CAR WILL NOT BE WITH US FOR LONG! OPEN 7 DAYS A WEEK BY APPOINTMENT ONLY, ASK ABOUT OUR HOME VISIT AND NATIONWIDE DELIVERY SERVICE!! As we are an AA ACCREDITED DEALER, with any purchase through Leigh Cars Ltd, you will also receive 12 MONTHS FREE AA BREAKDOWN ASSISTANCE. We offer very competitive LOW RATE % FINANCE packages with ZERO DEPOSIT - Why not check out our finance calculator on our website where you can tailor a personal quote to yourself and even INSTANTLY APPLY FOR FINANCE! We offer PART EXCHANGE and NATIONWIDE DELIVERY and we also offer HOME APPOINTMENT SERVICE subject to conditions. We are RATED 5 STARS BY OUR CUSTOMER REVIEWS so you can be assured you are dealing with a company you can trust. Just search for Leigh Cars Ltd online to see what our customers have to say about their experiences. Quality Cars You Can Trust.